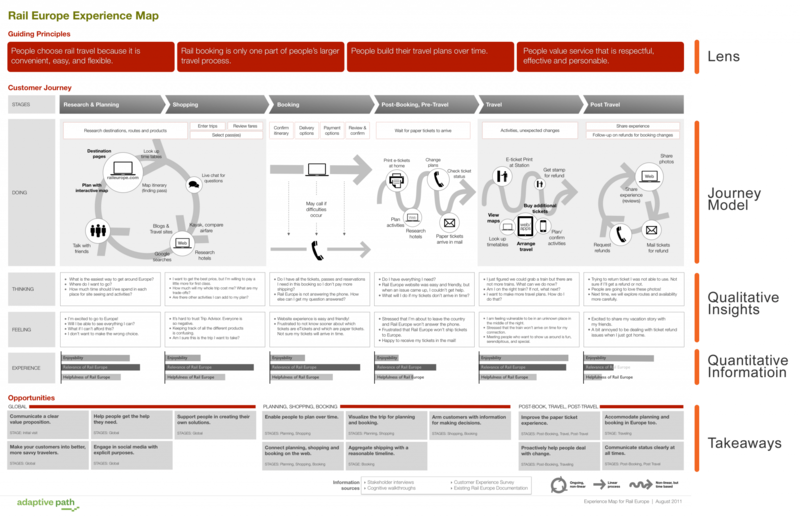 A customer journey map is a great tool identifying all the touchpoints with a customer and can include both online and offline interactions. But simply mapping the journey isn’t enough, you need metrics to use the customer journey map to improve market performance. That’s a big increase in market performance. So, measuring satisfaction is a must. But, based on a survey of 27,000 consumers, McKinsey contends the proper measure is overall satisfaction with the journey, rather than satisfaction with individual elements (touchpoints) along the journey. Likely, the halo effect explains much of why overall satisfaction is a better measure, even though measuring satisfaction across the journey is both more intuitive and actionable, which are 2 qualities I normally love in a metric. Primacy, recency and saliency effects similarly distort customer evaluations based on fist or last touchpoints or those most salient for solving the customer problem. In other words, unless you’re assessing satisfaction at each touchpoint, you’re getting results contaminated with evaluations at other touchpoints anyway, so you might as well measure overall satisfaction. Now that you have your stages, let’s think about metrics evaluating each stage. What constitutes awareness of your brand? How do consumers become aware of your brand? What motivates them to choose your brand? My client’s product requires some education, although we’re trying to make use as intuitive as possible. We’ve uploaded training videos and we’re working on creating an in-app training module that steps users through the process and provides suggested uses. Education is a key element for achieving high rates of sustained use, as is making the app as easy to use as possible. Thus, accessing educational resources is both a positive (ensures users get the most out of the product) and negative (the easier the app is, the less users require support from educational resources). We also offer customer support, which has only negative implications. Here the metrics are a little more complex because education has both positive and negative implications. It’s not enough to have these metrics, you need to use insights from analyzing the customer journey in making the journey frictionless if you want to improve market performance. Satisfaction metrics make more sense to evaluate over time, rather than inspecting satisfaction at a particular point in time. If overall satisfaction declines over time, obviously something needs to change. But, what? Since you’re evaluating overall satisfaction, it only makes sense to look for changes in the process as the source of satisfaction declines. If nothing changed, you’re gonna have to ask for customer feedback to identify the culprit. This might involve doing research or focus groups, but you might find your answer by systematic listening on social networks to sniff out the culprit. A key metric comes from observing the conversion funnel. Where are your biggest drop offs? What happened in between those stages to cause the drops? Many metrics require multiple observations because you’re most interested in trends rather than point measures. Things like # users, # adventures, # customer service requests. Once a trend emerges, you need to investigate the cause. Solutions might involve fixing problems or stepping up marketing campaigns. Obviously, these metrics only matter for my particular client and not all translate to other business situations. You may be much more interested in the stages leading to conversion and less concerned with what happens after conversion, for instance. Or, you might be interested in stages leading to conversion, stages leading to advocacy, and stages leading to loyalty. You’ll need metrics to reflect measurable actions at each stage of the process. Satisfaction, especially overall satisfaction, is the exception that will cross all business situations. Hence, the first step is crafting your customer journey map using the one above as a template. Your business situation might not require the level of complexity identified in the Rail Europe situation, but you’ll need to look at the stages along the customer journey as a minimum. Next, look at how consumers interact with your brand at each stage; paying particular attention to behavioral events and attitudinal changes occurring that both positively and negatively impact your market performance. Identify which sources and which metrics accurately represent these behaviors and feelings.